Subway, one of the largest restaurant chains in the world is planning to close around 500 outlets in the United States. 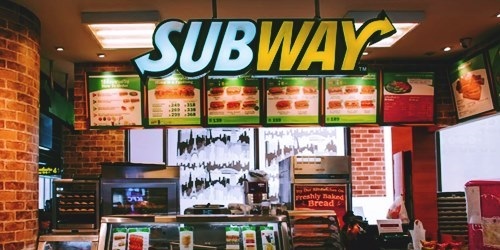 According to Subway CEO Suzanne Greco, the international chain is aiming to increase its overseas presence and is planning to open more than 1000 outlets in Germany, UK, Mexico, India, China and South Korea. With 44,000 stores in 112 countries, Subway seemingly has a massive presence in the fast food industry. However, the restaurant had closed 800 stores in the U.S. in 2017 and currently has 26,000 stores in the country. One of the viable reasons for the closing down of Subway store in the United States is the increased competition the company is facing from rivals like McDonald's, Starbucks and Panera, claim experts. Besides such recognized brands, drug stores and convenience stores are also offering a range of sandwiches that is luring customers away from Subway, they further assert. The company reportedly adopted a revitalizing plan that introduced new offers such as a line of new wraps, redesigned stores, loyalty programs, and ad campaigns. But Subway stores lost a large part of their popularity and by opening more stores internationally, the company may perhaps be trying to make up for its losses in the United States. Allegedly, Subway is aiming at maintaining a smaller but more profitable footprint in North America and a larger footprint in the international scenario. A New York based consultancy pointed out that Subway had been closing stores for a long time because of its general fall of popularity. Besides, the reintroduction of the $5 Footlong had angered many of Subway’s franchisees and the company had also been caught in a spate of bad PR over the imprisonment of former pitchman Jared Fogle. The consultancy added that Subway’s decision to close its U.S. outlets is an act of culling the part of business that is not being profitable anymore. For the record, Subway has not yet disclosed which locations it will be shutting down.